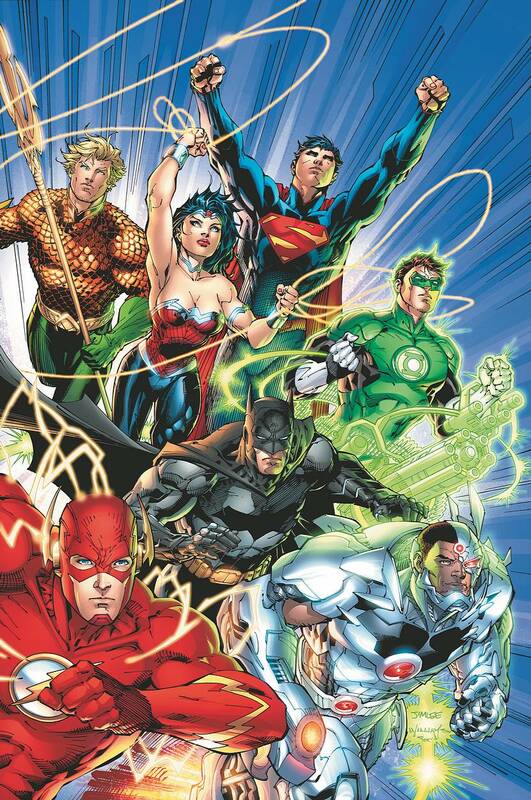 It’s been a crazy few weeks for DC Comics fans with the reveal that the current series Flashpoint would lead to a complete relaunch of the entire DC Universe in September as the company will be releasing new first issues for fifty-two titles. 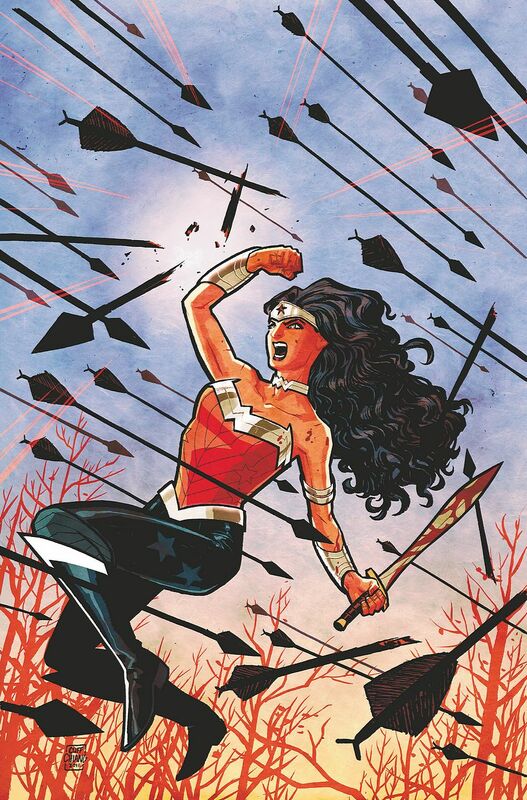 Interestingly, DC has promised a reimagined DCU featuring in many cases younger, more modern takes on their classic characters and a more diverse line overall in terms of both the ethnicity of their characters and the genres of books they publish. A previous attempt to comment on this news when very little was really known about the relaunch resulted in what amounted to a nasty letter to comic fans about their phony outrage and their tendency to rush to judge was out-of-date before I had typed the last word. As a result, I’ve recruited PTB to help keep the discussion grounded and offer his perspective as a non-DC fan. KevinMLD: So I have to say I’m excited about DC trying something brave and new. I was excited about Earth One line of original graphic novels. I was excited about the All Star imprint designed to tell continuity free stories of DC’s iconic characters. I like when DC is bold. Mostly I like when DC puts top creators on their top titles. 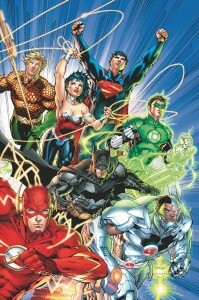 The little bit of information we do have about the new titles suggests to me that for most of the relaunched characters (particularly the rebooted ones), DC is almost pitching them as, “What would a modern movie or television series of this character be about?” It’s like the company is really trying to boil the characters down to their purest essence. 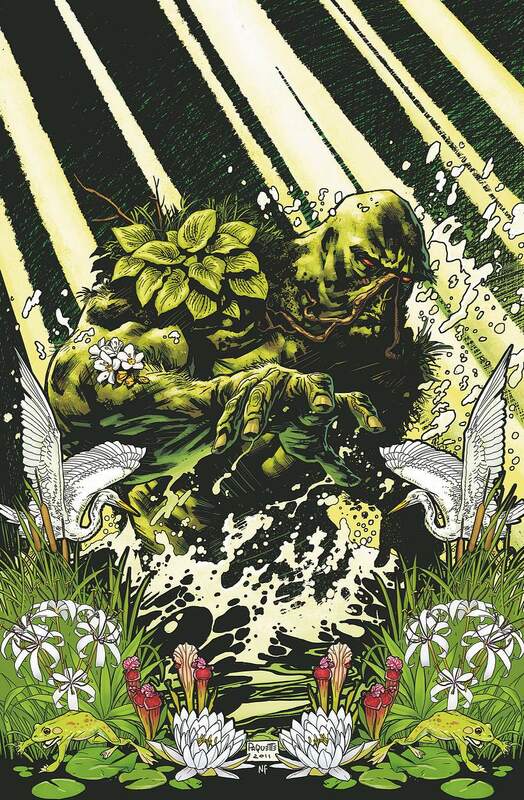 In some ways, it seems like DC is applying the Earth One concept to their entire line except they’ll continue to be published monthly rather than in a graphic novel format. This movie style approach to their characters particularly makes sense in the context of DC Entertainment basically having been dramatically restructured specifically as a pitch factory for Warner Brothers. PTB: It’s certainly a bold move. Far more bold than the Earth One or All Star lines and I wonder where those imprints are left in light of this. They were certainly successful because they got things back to basics. The “movie-style” distilling of the characters could be really interesting, but it runs counter to the current comic book culture that’s steeped in continuity. KevinMLD: Well, we were supposed to get six more issues of All-Star Batman and Robin, which was going to be retitled in an attempt to tie the series into the Dark Knight Returns Universe. Those six issues were supposed to conclude the story, but the comics never shipped. 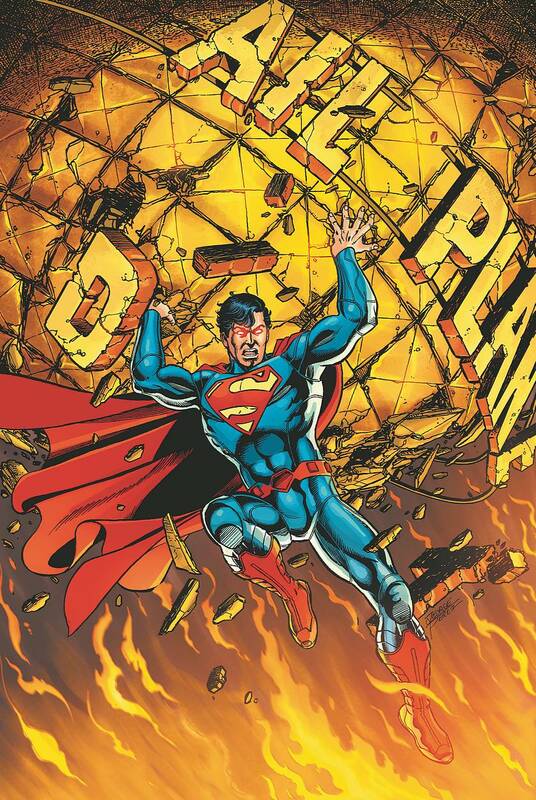 Superman: Earth One Volume Two is officially still on the way and writer J. Michael Straczynski has said that his knowledge that an event similar to this was coming was another reason he was willing to leave both his Wonder Woman and Superman monthly gigs. PTB: That makes me wonder how readers are feeling about the current books knowing this change is coming. If a creator isn’t attached to a book in light of this relaunch, even after a splashy announcement about his plans, I can’t imagine sales haven’t been affected by readers dropping books in light of the relaunch. KevinMLD: Yeah. I don’t know if we’ll ever really know how DC’s books sold during the Summer of 2011 beyond some hearsay from retailers since all of the statistics we see are based on orders from retailers as opposed to purchased comics. I’m interested to get a good look at all of the redesigned costumes, especially Superman’s in Action and anything related to Green Lantern. I’m curious whether they’ll reflect what we see in the upcoming films. 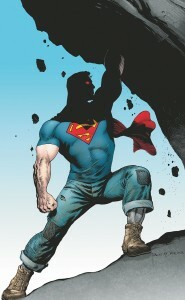 I’m not a fan of all of the armor Superman is wearing on George Perez’s Superman #1. 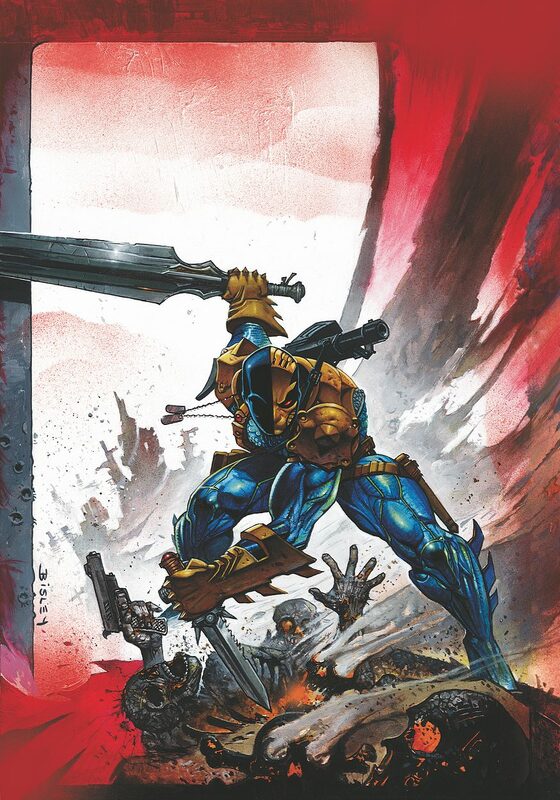 PTB: I know the costume designs have been a sore subject with regard to some characters, and I vaguely recall some hate for the new look for Deathstroke and two other characters he’s in a new book with. Wonder Woman’s costume was redesigned last year by Jim Lee and people immediately rejected it. It wasn’t ideal, but it was certainly something more conducive to live action. That’s not true in all cases though, look at Harley Quinn’s redesign. KevinMLD: I’m not sure about the other characters you’re referring to in Deathstroke, but his costume looks silly to me. As for Harley, every DC woman seems to have gotten a more sensible costume (in other words: pants) except Harley and Supergirl. Like everyone else, I’m a little weirded out that Action, Superman, Detective, and Batman were included in the renumbering seeing as how their numbering had not been interrupted since the 1930s. But I think that’s just the equivalent of comic fan OCD. What’s so precious about numbering anyway? There’s nothing really comparable in any other medium. PTB: It’s hard to argue its importance, but I agree with the sentiment. Marvel recently announced the “cancellation” of their long running Uncanny X-Men title. It will more than likely turn out to be a relaunch more than a cancellation, as a new series will take its place. Some have speculated this is a direct response to DC’s move. I disagree, but the timing of the announcement doesn’t help. As a long time fan I hate the idea. I like feeling that what I’m reading is connected to what came before it. KevinMLD: One of the odd things about all of this is how much we’re hearing from Jim Lee, Geoff Johns and Dan Didio on this whole relaunch and how little we’re hearing from Editor in Chief Bob Harras. 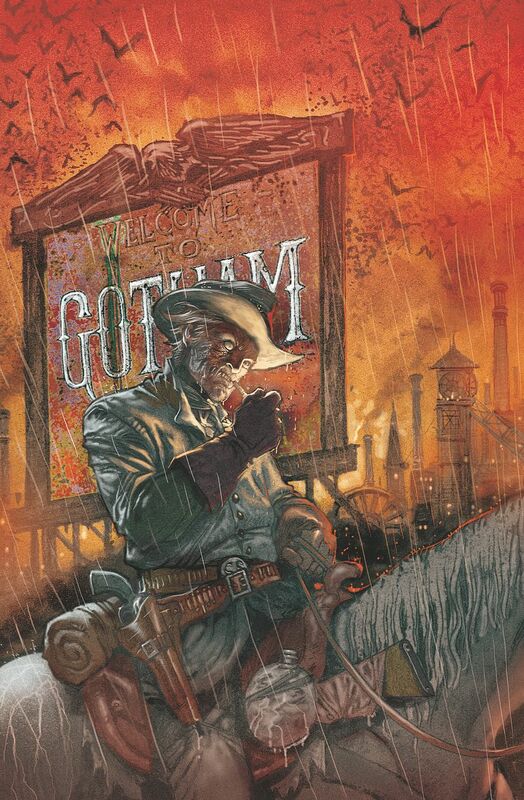 According to rumor this is something Didio has wanted to do for years, but Paul Levitz vetoed it, which makes sense as Levitz has always seemed very conservative. But when Didio was EIC, he was the one talking up DC’s big plans not Levitz and that hasn’t really changed now that Harras is EIC. When will we start to get a sense of what Harras is bringing to DC beyond Scott Lobdell? PTB: I hope you’re not implying that Scott Lobdell isn’t a good thing. As far as who acts as the mouthpiece for DC, I love how accessible Jim Lee is. He and Johns are highly respected creators and I think many fans are excited by their involvement. Didio is not a fan favorite, and I don’t see his continued visibility as an asset. From what I recall, Harras distinguished in a similarly negative way with fans and creators. His staying quiet may be a good thing. He was a maverick at Marvel and despite being off the scene for a few years, his being at DC should only help this relaunch. KevinMLD: I have no idea if Scott Lobdell at DC is a good thing. I know bringing in an a guy very closely tied to the X-Men of the 1990’s isn’t necessarily what I would call a new voice and yet he’s writing three of the relaunched titles. Obviously, there are a lot of questions left to be answered especially about what is the new continuity. 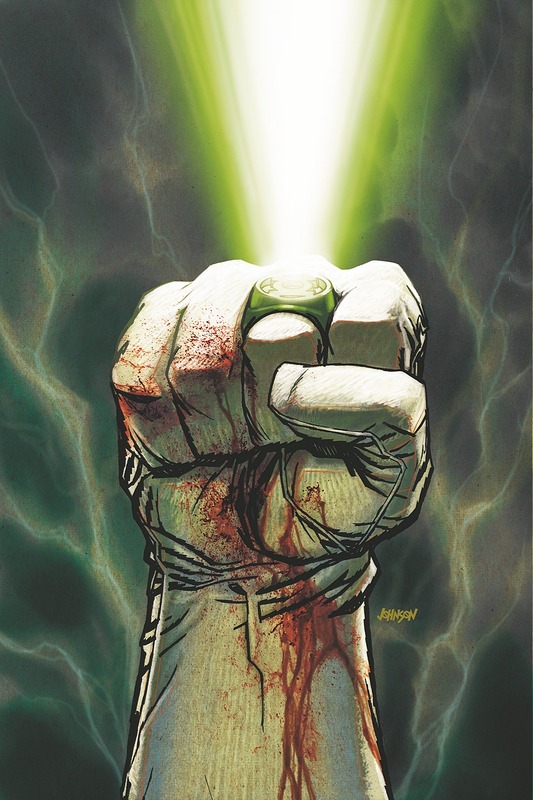 It’ll be a little strange if Green Lantern and Batman continue going as if nothing has changed, and Superman becomes ten years younger and has his marriage erased. PTB: That’s the worst thing about this. The incongruities that are bound to arise would make me nuts. The worst part for me is reading things like War of the Green Lanterns while this relaunch is on deck and wondering if it “matters” anymore. I can’t imagine how someone more invested in the DC Universe would react. KevinMLD: I have no idea. I tend to believe none of this is going to be as dramatic different as it seems right now. So far it seems like the Batman and Green Lantern books are barely being affected by the relaunch when compared to the Superman titles. Some conspiracy theorists believe that this whole relaunch is an effort by DC to gain an advantage in its lawsuit with the families of that character’s creators and that we’ll see a whole new origin for the character. I think this is silly. No one wants to see a Superman movie based on a version of the character who isn’t from Krypton and allergic to Kryptonite, etc. PTB: I hope that’s not the case. There’s an air of excitement around this relaunch and admittedly I’m being drawn in by it too. I don’t know that I’m ready to invest in 52 new titles and their #1 issues, but I like that people are making lists of what to pick up and speculating on stories. I’d hate to learn that’s all undercut by legal positioning. As far as changing origins and histories, I can see why that’s tempting but my preference is for those things to happen within the story and follow rules no matter how outlandish. Even if it’s “comic book science” that leads to the changes, I’d want all the changes to be true to that science. KevinMLD: I suspect that post-Flashpoint Barry Allen and Batman will manage to put the DC Universe back together, but just slightly off. That’s as complicated as the “comic book science” will be. One of the last elements of the general relaunch we should discuss is that the titles will be available digitally the same day the physical books hit stores. I’ve been a huge proponent of this and I think this is a good move. I don’t think charging the same price as the paper version is the right decision though. Especially considering that with the digital books you don’t actually own anything. You get a file that can only be played in DC’s app. If Comixology should go out of business, you’re likely screwed. Plus, the reality is (whether or not anyone wants to say it out loud) in the digital realm DC is competing with free pirated downloads. Three dollars vs. free isn’t likely to convince many people to convert. I’ll give DC credit for announcing that each book will drop in price by $1 after thirty days, but I still think $.99 is the right price for digital comics. I think you’re the perfect example of a typical comic book fan. If Uncanny X-Men was available digitally for $.99 it wouldn’t affect your decision to purchase multiple version of the hard copy if you liked the variant cover. But if Batman or Green Lantern was available digitally for $.99, how much more likely would you be to read those books? PTB: I would definitely give a lot more consideration to a $.99 digital comic. The price for digital comics has long been a sticking point for me. Honestly, I’ll never change over to reading digitally if I can get a print copy for $1 more. I know I’m not the target market, but I can’t imagine they wouldn’t get more traction with $.99 price point. The worry about the app developer disappearing is merited given the proprietary format of the books, but there would certainly be a way around that with software. Piracy is an issue with print or digital, but digitizing the books for pirates to distribute might lend a helping hand. Honestly, the coordination of the line and its cohesion in terms of publishing are the most appealing aspects to me. I’m curious to see what happens when the first book misses its co-release date. Will they deliver in one format and wait on the other? Will they embargo one format and wait for the other? What will happen to sales if one format is released out of sync? KevinMLD: Let’s hope this whole experiment is as coordinated as DC would like us to believe. Because if not, it’s a scares me that they moved forward with it. I hate to keep harping on Scott Lobdell. The guy hasn’t even had one DC title published yet, but it really seems odd that he has so many titles and guys like Phil Hester and Chris Roberson, who were both new voices in the DC Universe who performed very capably after J. Michael Straczynski ditched his relaunches of Wonder Woman and Superman weren’t given any titles post-Flashpoint. It just goes against the whole concept of a new modern take on the DCU. Hopefully, they have new books in the works behind the scenes. The other interesting issue is simply the immense size of this relaunch. Fifty-two titles is a lot of books to kick off in a single month. Now, it wouldn’t surprise me if DC and Marvel both currently publish more than that on a monthly basis, but normally those aren’t all ongoing series. 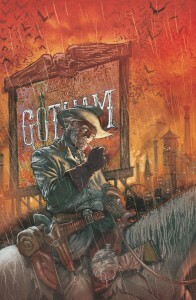 I predict a large number of these books won’t hit issue 10. It just seems impossible no matter how well written and drawn they turn out to be for that many books to take off. PTB: Cancellations are inevitable and it often has nothing to do with the title’s quality. Fewer people are going to buy a book about Booster Gold than Superman. Even with five monthly books about Superman, they might all outsell a book about a lesser known character. Let’s hope the creators for some of these titles employ an approach of structuring shorter arcs with quicker payoffs in anticipation of being cancelled. Come back later this week for a look at the specific relaunched titles that DC has announced that we’re excited about or disappointed in.